Create with Traci: Embossing folder sale-ending soon! Through the month of February (ends THIS Friday!!) 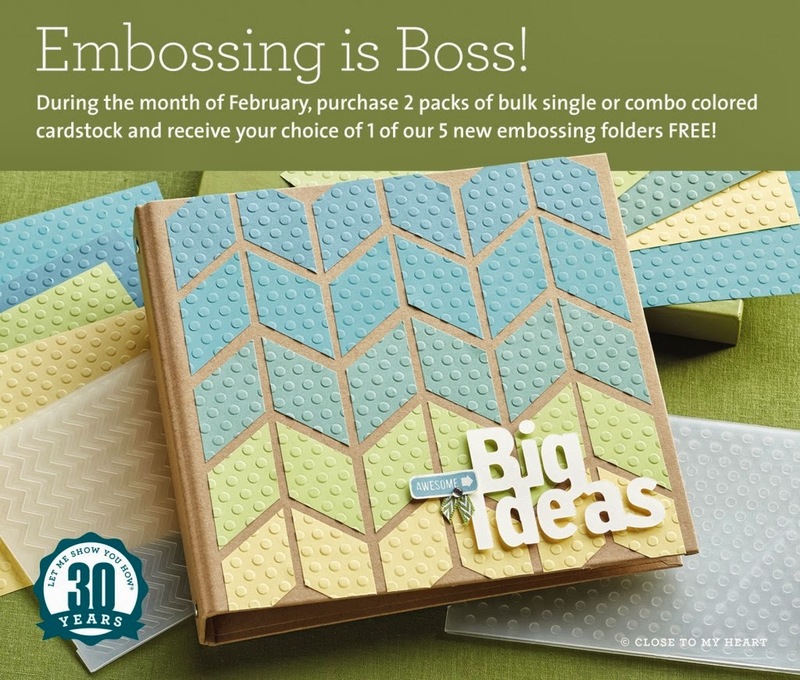 CTMH is running a special on our NEW embossing folders! 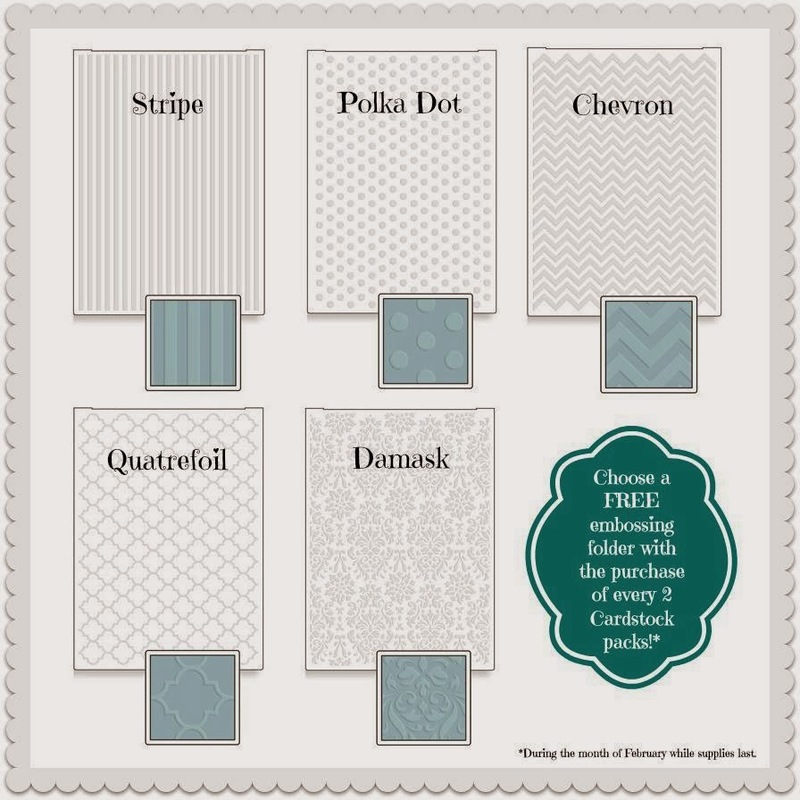 Buy 2 packs of cardstock get an embossing folder of your choice FREE! Any solid color and combo packs of cardstock count except White, Kraft, Colonial White and the new basic foundations cardstock pack. You have 40 solid colors and 4 combo packs to select from and you can peruse your choices by clicking here. These are the 5 embossing folders we now have available : All are slightly larger than 5x7 so you can emboss a good sized piece. They also have a slit at the fold line so that you could emboss longer pieces (i.e... 4x12 borders for your layouts!!) I've scoured the local stores and can not find this feature on any of the folders sold locally... so this is pretty cool! When you shop online and add two packs of cardstock to your cart.. you will be prompted to choose a free embossing folder! PLUS... when you shop from my site in February you will receive a FREE roll of self adhesive shimmer tape in one of our new colors teal or purple. I am shipping these out next Monday when I've tallied all the online orders for the month and gather addresses. Visit my site by clicking here.